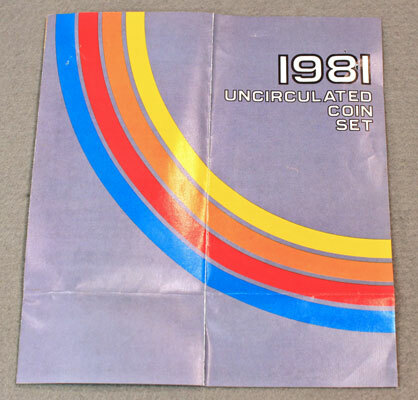 Found in a proof and mint set purchase, the 1981 mint set brochure gives us another opportunity to go back in time to see how the US Mint marketed their uncirculated coin sets before the internet. 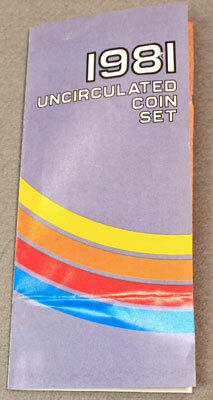 Though short, their marketing points emphasized the potential scarcity of the 1981 mint sets and the necessity for ordering early. Each set contains thirteen coins: a dollar, half dollar, quarter, dime, nickel and cent from both the Philadelphia Mint and the Denver Mint and a dollar from the San Francisco Assay Office. The coins will be sealed in two packets and inserted in a presentation envelope. The Denver packet contains six coins with the “D” mint mark and the “S” mint marked dollar coin struck in San Francisco. In the Philadelphia packet, the coins, with the exception of the cent piece, have a “P” mint mark. There is a limit of one order of one to five sets per customer. There is also a limit of 5 orders per address. However, in the event that orders exceed production capacity, these limitations may be reduced to ensure a more equitable distribution of coin sets to as many customers as possible. The price which includes postage, registry fee and handling is $11.00 per set. The sets will be produced and mailed by December 31, 1981. The vast majority of orders are received within the first month of the ordering period. 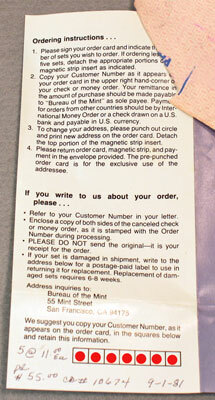 If your order is not among the first to be mailed by the Mint, you will receive an acknowledgement card indicating your order number and the expected delivery date. Your order number also appears on your canceled remittance. Orders will be accepted beginning September 1, 1981. Acceptance of orders is contingent upon our production capability and the demand. Although we anticipate accepting order through October 30, 1981, an earlier cut-off date will be essential if orders for the sets exceed our production capability. If this occurs, it will be necessary to return all orders received at the San Francisco Old Mint after the cut-off date. If your remittance is deposited and we cannot honor your order, a refund will be made. We therefore recommend that you send your order as soon as possible. Orders are not cancelable by the purchaser. 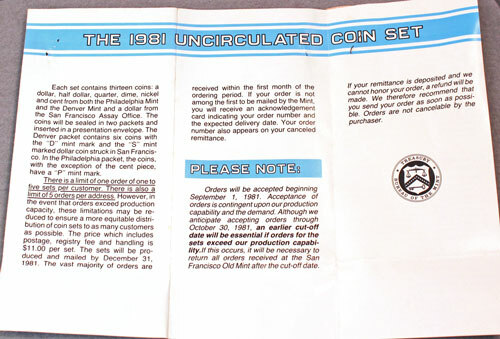 Folding the right side of the 1981 mint set brochure to the inside, the US Mint’s instructions for ordering the sets become visible. In this case, the customer ordered the maximum of five sets for a total of $55. In all likelihood none of the US Mint numbers would match in their customer database today, but we protect their details anyway. And, considering Citizens and Southern bank changed names years ago and eventually became part of Bank of America, the check’s information should not be valid either. We’ll hide those details anyway along with their name, address and telephone number. Looking at the check, this customer heeded the US Mint’s caution to order early. Their check’s date shows September 1. The back of the check was deposited in the Mint’s bank on September 17. Thinking about the mail time and the time to receive and manually post all of the mailed-in orders, that’s not really a lot of time. Today, with the internet, that 16-day time span is shortened to just minutes, or hours, at most. On our main web site, you can learn more about the 1981 Mint Set, compare it to other mint sets in the Mint Sets Population list and see an overview of all the mint sets.